Nick Kladis was an outstanding athlete at Loyola from 1949-52 and earned All-American honors in 1952. He was selected by the Philadelphia Warriors in the 1952 NBA draft. Known for his left-handed hook shot, Kladis’ No. 3 jersey is retired by Loyola and hangs in the rafters. In addition to being a member of Loyola’s Athletic Hall of Fame, he was also named to Loyola’s All Decade Team three years ago. Prior to attending Loyola, Kladis was a standout athlete at Tilden Tech in Chicago, where he received all-city and all-state honors. Since the end of his playing days, Kladis was an assistant volunteer coach for the 1963 Loyola basketball team that captured the NCAA Championship. Kladis was an instrumental part on the dominant Ypsilanti teams of the late 40’s and early ‘50’s. In addition, he was named MVP twice (1948 and 1949). 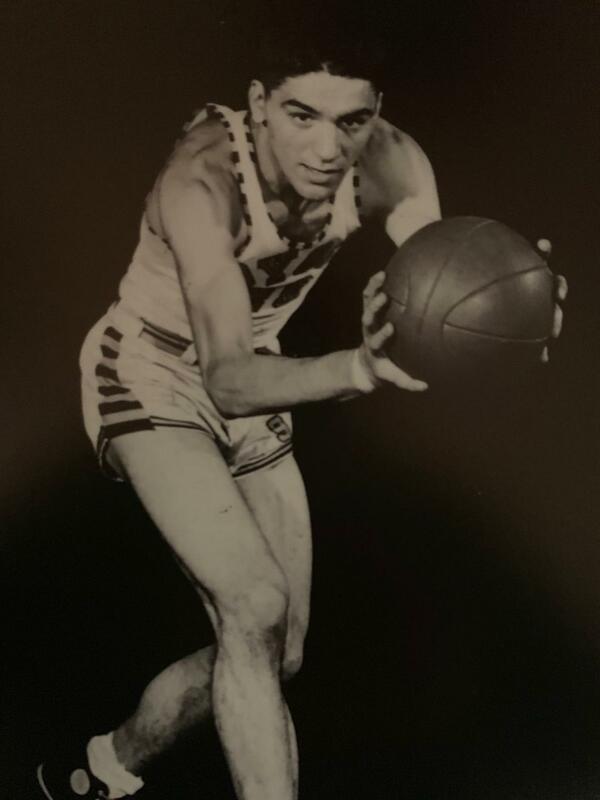 He participated in the College All Star Team that toured against the Harlem Globe Trotters in the ‘50s. Because of his dedication to Greek Basketball, he inspired many players and teams, one being Ypsilanti, one of the most successful Greek basketball teams in history. Kladis went on to start a successful grocery store, called One Stop foods, that is still in business today, 53 years later! He had been an investor in the St. Louis Cardinals and partnered with broadcasting legend, Harry Caray, to open the first Harry Caray’s Italian Steakhouse in 1987, among many of his business ventures.